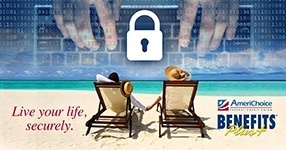 Online Banking from any device, anywhere. Access your accounts, transfer balances, and deposit checks 24/7 on your web-enabled device. We make managing your money simple and easy. Learn about the abundance of features our Online Banking offers, and get started on effectively managing your money from any device, anywhere! 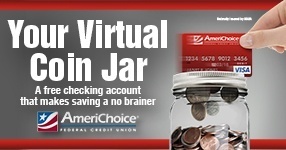 Learn how to operate AmeriChoice Online Banking with our easy to follow instructional videos. Please note that if you are an Intuit product user in our current Home Banking, there will be a 3-5 day outage as we transition to our new Online Banking system. Please follow the guide below that pertains to the product that you currently use and your operating system for instructions on what to do for the conversion to avoid losing any information. At AmeriChoice, we want you to have the best possible experience online, but the browser you’re using could be limiting that potential. There are many problems with old browsers because they are less stable and more vulnerable to security risks such as viruses, spyware, malware, and many other issues. Below are a list of frequently asked questions related to AmeriChoice Online Banking. If you don’t find an answer to what you’re looking for, be sure to also check out the user guides above. If you still have questions, please contact a Member Service Representative at 717-697-3474. When are we converting to our new Online Banking (OLB)? Our new Online Banking will be live for our members use February 21, 2017. Why are we calling it "Online Banking" instead of "Home Banking"? In today’s world, we are able to access the web on multiple devices from anywhere in the world, and no longer have to rely on a stationary computer in their home. For this reason, we felt that “Online Banking” was more applicable to the current way people access their accounts online. Will our members be able to use their existing usernames and passwords? Yes. All members will be required to set up new security questions and answers and accept a disclosure before they continue to Online Banking. Some members may be asked to create a new password for additional security. What are the major changes that our new OLB brings for our members? There are many great things about our new Online Banking that members can look forward to! Two major changes are the addition of our FOCUS personal financial management tool and the return of A2A-account to account transfers to and from non-AmeriChoice accounts owned by our members. Members will be able to update their own contact information and set up their own account alerts. Security measures will include text messages to our members when they change contact information and some settings. Members will also be able to reset their own passwords. Will our members still access OLB in the same way as they do now? Yes! 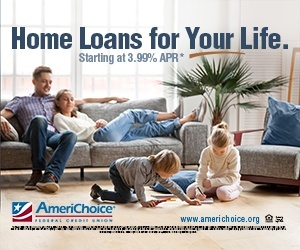 Members will still access Online Banking by visiting www.americhoice.org and clicking the member login button on the top right corner of the screen. Will our members be able to do everything they can do now in Home Banking? Yes. All of the convenient features in our current Home Banking will be available in the new Online Banking system.